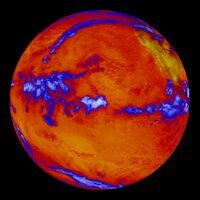 Oct. 6, 2014: The cold waters of Earth’s deep ocean have not warmed measurably since 2005, according to a new NASA study, leaving unsolved the mystery of why global warming appears to have slowed in recent years. 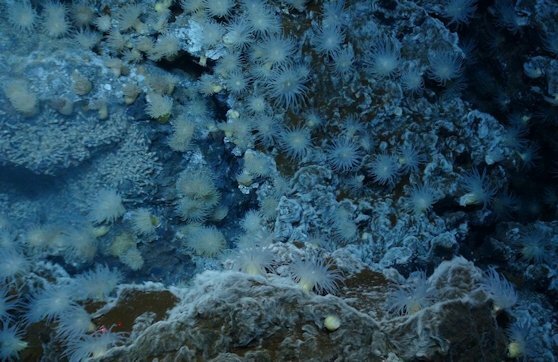 Scientists at NASA's Jet Propulsion Laboratory (JPL) in Pasadena, California, analyzed satellite and direct ocean temperature data from 2005 to 2013 and found the ocean abyss below 1.24 miles (1,995 meters) has not warmed measurably. Study coauthor Josh Willis of JPL said these findings do not throw suspicion on climate change itself. Many processes on land, air and sea have been invoked to explain what is happening to the "missing" heat. One of the most prominent ideas is that the bottom half of the ocean is taking up the slack, but supporting evidence is slim. This latest study is the first to test the idea using satellite observations, as well as direct temperature measurements of the upper ocean. Scientists have been taking the temperature of the top half of the ocean directly since 2005, using a network of 3,000 floating temperature probes called the Argo array. "The deep parts of the ocean are harder to measure," said JPL's William Llovel, lead author of the study published Sunday in the journal Nature Climate Change. "The combination of satellite and direct temperature data gives us a glimpse of how much sea level rise is due to deep warming. The answer is -- not much." To arrive at their conclusion, the JPL scientists did a straightforward subtraction calculation, using data for 2005-2013 from the Argo buoys, NASA's Jason-1 and Jason-2 satellites, and the agency’s Gravity Recovery and Climate Experiment (GRACE) satellites. From the total amount of sea level rise, they subtracted the amount of rise from the expansion in the upper ocean, and the amount of rise that came from added meltwater. The remainder represented the amount of sea level rise caused by warming in the deep ocean.